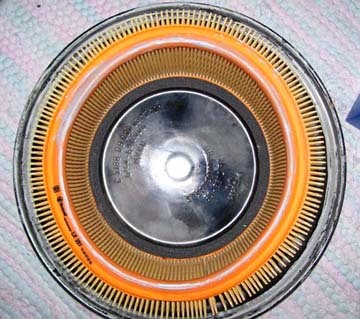 Surprisingly, the original air filter for the W128 220SE Ponton series is no longer available from Mercedes-Benz. The original filter was a Mann Type C 2188 and it has not been superseded by any other. 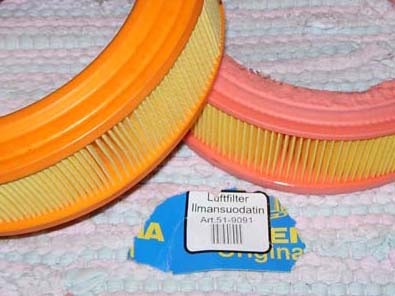 The filter is however still displayed at Mann’s Online Catalogue There are suppliers in Germany that sell a filter at a price of 60-70 Euros. My goal was to find a filter that was easy to buy everywhere, works well, and was a lot cheaper. I found two filters that work. The first one is for a Nissan Micra 1 liter engine. The Mann number is C 2027. This has the correct dimensions, except for the height. But with two filters stacked on top of each other, it has nearly the correct height. I removed the rounded edge from one side to make the filters flat. The filter cost 5 Euros each. Reference Photo 1. Photo 2 shows that nearly the correct height is established when they are mounted on top of each other. By cutting the edge on both sides of one filter the size is more or less correct as the original. 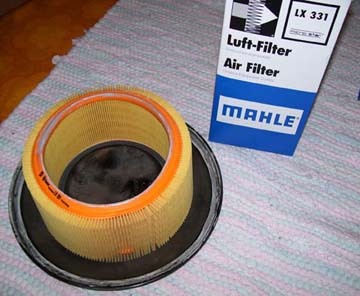 The second solution was a filter from Mahle, the Type LX 331. The Mann number is C 2281. 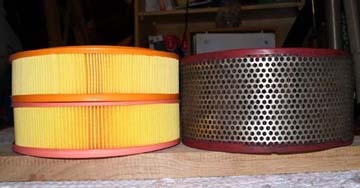 This filter is used in Renault 1.8 liter - 2.0 liter engines between 1991 and 1998 and cost 16 Euros. The dimensions are good except for the inner diameter which is 0.5512 in (14mm) too wide. But I managed to fit the filter with the help of some foam which has glue on one side. 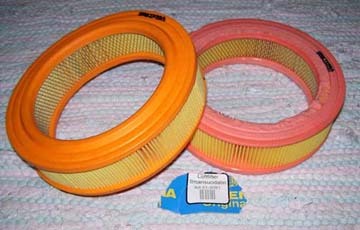 It is also possible to make spacers out of some plastic for both the top and at the bottom of the filter housing. Reference Photo 3. I used two layers of foam so the filter was centered in the top section of the housing. This was enough to hold the filter in place when it was installed in the filter housing. Photo 4 shows the side view. The gray color on the bottom of the filter (Reference Photos 3 and 4) is paint that I used to verify that the filter was tight enough when it was mounted in the housing with the lock in place.